In China, green finance is a comprehensive program covering the entire financial system. Since its emergence, a number of key trends have shown up. The policy system continues to improve. Since the launch of the Guidelines for Establishing the Green Financial System in 2016, government departments have been developing and implementing policies at increasingly detailed levels. One case evidencing the growing ambition of the Chinese government to develop green finance is the People’s Bank of China (PBoC) using its medium-term lending facility (MLF) specifically to support the green economy by allowing green bonds as collateral. Furthermore, the Asset Management Association of China (AMAC) recently published a draft version of its green investment guidelines to get feedback from Chinese investors. Many green finance tools are maturing. Today, green credit accounts for nine percent of all the credit issued by banks at around 8 trillion yuan. Green bonds remained stable at 248.6 billion yuan of annual issuance in 2017 and a similar level so far in 2018. The number of green funds has increased to 265 with continued expansion predicted this year. Green PPPs now number more than 8,000 with a total value surpassing 7 trillion yuan. Green insurance has expanded to a total risk coverage of about 28 billion yuan after growing rapidly in 2017. Of particular note is the development of environmental rights trading. China is scaling up its carbon trading system. The plan to establish a national scheme, published in December 2017, has mapped out concrete steps. After two to three years, the national scheme will be in place. While it currently only covers the electricity sector, seven additional sectors, including the petrochemical industry, chemical industry, construction materials, steel, metal, paper and aviation, will be included to bring half of China’s total emissions into the carbon trading system. ESG (environmental, social and governance) integration is accelerating as investors become more conscious of green finance principles and practices. The main challenge is to convince investors that sustainable investments can be profitable, a concept that is supported by research results published by Morgan Stanley Capital International (MSCI), Oxford University and Arabesque (a multinational asset management company). Green investment is often perceived as riskier, which is not necessarily true. In further support of the ESG business case, recent research by the Bank of International Settlements and Natixis pointed out that green bonds actually carry lower coupon rates than other bonds with similar maturities. To help investors grasp environmental risks, in 2018 the International Institute of Green Finance launched a report alongside UNEP FI and UNPRI specifically on ESG integration in the Chinese asset management industry. Local green finance is expanding rapidly. This includes both designated green finance pilot zones and numerous voluntary programs. Currently, Zhejiang, Guangdong, Jiangxi, Guizhou provinces and Xinjiang Uygur Autonomous Region have become pilot areas. Such initiatives are predicted to expand in the coming years. All pilot zones have made progress in supporting policies, organizational structure, products and services innovation, market construction and institutional development. Guangdong has launched a number of incentive schemes for green finance including guarantees and interest rate subsidies. Xinjiang has established green project platforms. Jiangxi is promoting the marketization of ecological compensation through a trading system that provides training for all relevant stakeholders. In response to the national top-level design for green finance, over 10 provinces and autonomous regions not covered by the pilot program have also released policy frameworks on green finance. The Chinese government is including critical green components in the implementation of the Belt and Road Initiative. 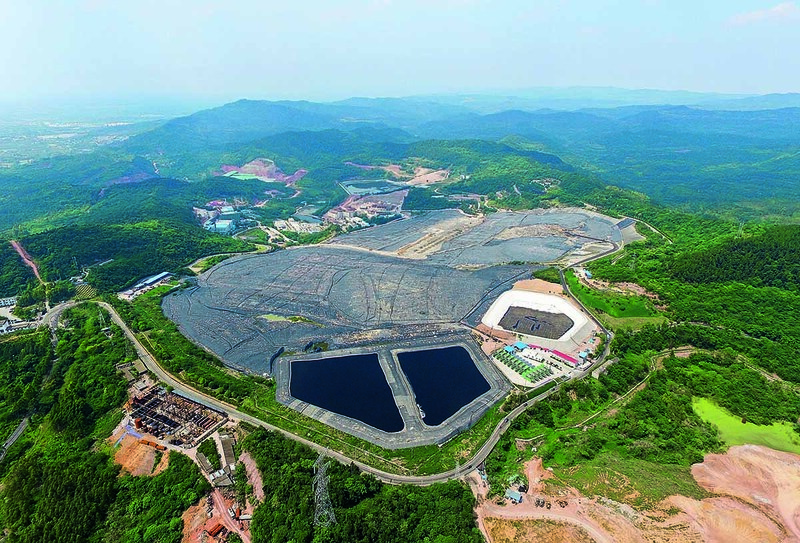 This is prominently underlined in the documents Environmental Risk Management Initiative for China’s Overseas Investment by the China Green Finance Committee and Guidance on Promoting Green Belt and Road by China’s State Council. These documents highlight the importance that China attaches to reducing the environmental and social risks of its overseas investments. This is of great international importance because the Initiative welcomes contributions from many stakeholders around the globe. One of the key challenges for further developing green finance in China is the lack of clear and harmonized standards. There are a number of standards related to green finance in China, but they differ from international standards. To solve the problem of harmonizing standards, the National Development and Reform Commission is developing a green industry catalogue, which will lay the foundation for defining ‘green’ across the financial sector. China is the world’s second-largest green bond market, and the increasing internationalization of Chinese bond issuers and investors is impacting global standards. It is important to understand that with different levels of development, economic structures and energy systems, countries will have different definitions of ‘green.’ As part of the efforts to harmonize green bond standards between China and the EU, the China Green Finance Committee under the PBoC and the European Investment Bank under the EU jointly issued a white paper outlining how international green bond standards can be harmonized. And work on compatibility will continue in the foreseeable future. While expected to be compatible, green finance standards should also be flexible to reflect local circumstances such as development stage, natural resource endowment, industrial layout and energy composition. Another challenge is that investors and companies are not adequately conscious of environmental risks. This is often due to a lack of relevant environmental information at corporate level that can be quantified and analyzed. To tackle this problem, environmental information disclosure is gradually becoming mandatory for listed companies. In 2018, all listed companies are required to either disclose this information or provide justification for refusing, which is expected to inspire a disclosure rate of more than 90 percent. By 2020, it will be mandatory for all listed companies to disclose relevant environmental information. In this regard, it is important to note that most large Chinese companies are publicly listed, even state-owned enterprises. This provides critical information for all stakeholders to wisely make financing decisions. While green finance in China is already considered successful, the scale needs to expand continuously. Despite the impressive growth of green loans and bonds, the numbers are still relatively small compared to the financial system as a whole and increasing demand for green investment. Expanding it requires public resources to maximize the ability to leverage private capital. To this end, a number of initiatives have been carried out, such as the expansion of green PPPs. Also, better communication on green finance is needed to improve public understanding. Since more and more people are engaged in green finance, knowledge about green finance should better permeate all levels of stakeholders. Better communication between the government, financial institutions, companies, intermediaries, researchers, and the public is necessary. In this process, the Green Finance Committee of China Society for Finance and Banking plays a crucial role. The last couple of years have brought several monumental shifts, and the most glaring change is the United States’ new approach to foreign policy. Amid increasing unpredictability and fragmentation, China and many of its partners are working together as pillars of stability. This is particularly true of climate change governance and green finance. Under the G20, China pioneered the agenda for developing and supporting green finance. During China’s G20 presidency, green finance became a key theme at the meeting for the first time. The G20 Green Finance Study Group was launched as part of an effort to support the G20’s goal of strong, sustainable and balanced growth. This initiative continues today through the latest G20 summit in Hamburg and will advance further in 2018 in Argentina. Another international green finance initiative promoted largely by China is focused on central banks for their critical role in the effort to green the global financial system. To strengthen the global response to the goals of the Paris Agreement by ensuring the financial system’s management of risk and mobilization of green finance, eight central banks and supervisors established the Central Banks and Supervisors Network for Greening the Financial System (NGFS). The network had expanded to cover 15 countries by mid-2018. The NGFS offers an opportunity to scale up and coordinate global efforts. China works directly with a number of countries and groups. For example, China is working with the EU and the ASEAN on several areas to promote green finance on the global stage. Within the Belt and Road Initiative, China works with relevant countries to ensure the inclusion and prioritization of green finance. 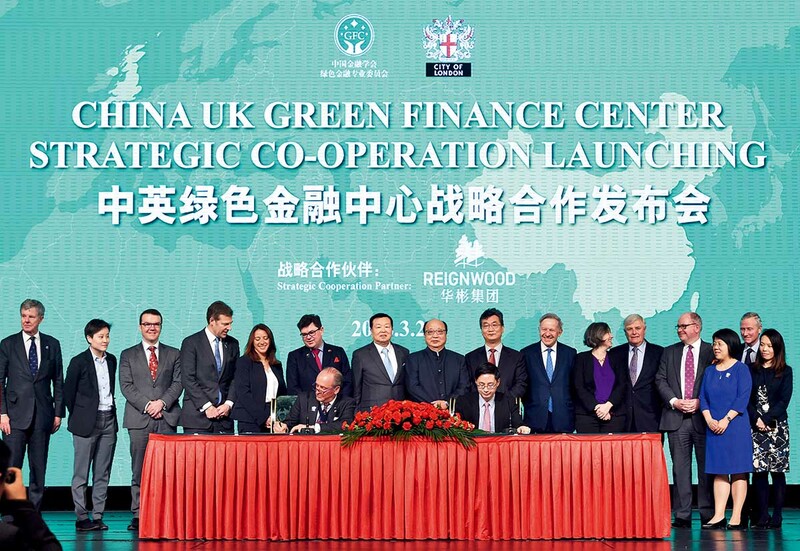 Another example is China-UK cooperation on green finance, which has been carried out over the last three years and will continue in the future under the framework of the China-UK Economic and Financial Dialogue. China also works with France in particular to establish Paris as a European leader in green finance. China also actively engages in global forums on green finance. These include a number of avenues under the UN system such as COP negotiations of the UNFCCC. From a research perspective, China also works with international organizations such as UNEP FI and UNPRI. Based on a report released by the Financial Stability Board’s Task Force on Climate Related Financial Disclosure, China is carrying out pilot programs while coordinating efforts with the UK which is running similar pilot programs. These programs will shape recommendations on how climate finance should be carried out globally in the future. Such combined efforts have great implications for expanding and harmonizing green finance at the global level. China’s overseas green investment is on the rise, through both sovereign and non-sovereign backed channels. China has created or co-created 15 funds worth almost US$150 billion. These funds primarily involve developing countries in Africa and Latin America, countries along the Belt and Road routes and ASEAN countries. ‘Green’ is among the primary topics for investment of these funds, two of which are specifically green-themed funds, namely the South-South Climate Cooperation Fund and the U.S.-China Green Fund. Dr. Wang Yao is director-general of the International Institute of Green Finance (IIGF) at the Central University of Finance and Economics (CUFE) and deputy secretary-general of the Green Finance Committee of China Society of Finance and Banking. Mathias Lund Larsen is head of the International Cooperation Department of IIGF.